Because 22 Veterans A Day Commit Suicide! Over 200 veterans at-risk for suicide, suffering with moral injury, are once again living their lives and in various stages of healing! This, after participating with the nondenominational Heroes To Heroes Foundation and it’s lifesaving mission that’s based on spirituality! HTH successfully helps these American heroes reconnect with the faith they had lost due to the horrors of war they have experienced, sending groups of 12-14 at a time on journeys to Israel! And, with a current annual budget of about $1.3MM, individuals, businesses, and foundations who partner with us, can actually move the needle as we pursue our critical mission! Please read the bullet points below that describe the critical mission of Heroes To Heroes Foundation! 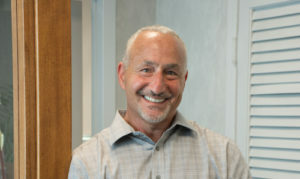 Then, if you would like to learn more about how you or your company can get involved, please contact Hallmark Abstract Service CEO Michael Haltman, who has the honor of serving as the organization’s Board Chair, at mhaltman@hallmarkabstractllc.com or (646) 741-6101! Heroes To Heroes Foundation, a non-denominational 501(c)(3), successfully helps combat veterans (men and women) from all wars, suffering from moral injury, who have attempted suicide or are on a path towards self-destruction, heal! The program, based on spirituality, helps these American heroes reconnect with the faith they have lost due to the horrors of war they have experienced. Loss of faith is a critical factor for a great many who attempt suicide. Billy didn’t leave his home for five years. What he saw and was forced to do while serving in Iraq made him hate himself, everything, and everyone around him. Billy needed to forgive. He needed to be forgiven. 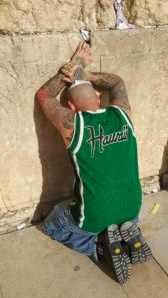 Billy found forgiveness at The Western Wall during his journey with Heroes to Heroes. Your support has already made a difference. The veterans on our waiting list of over 400 and their families are counting on us. Heroes to Heroes is the last resort for many. Please continue to help…. Please go to www.heroestoheroes.org and donate today! Please be our partner in saving lives. 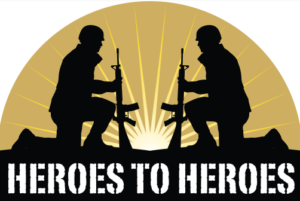 Heroes To Heroes Foundation – Because 20 Veterans A Day Commit Suicide!